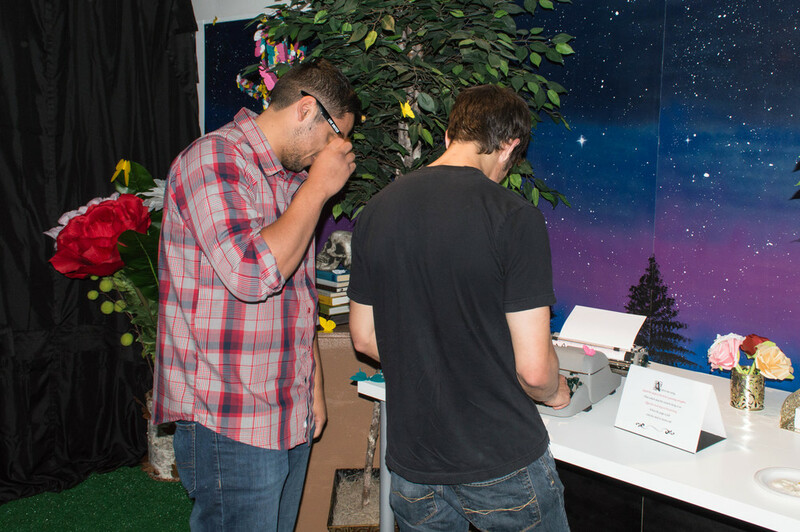 For my senior thesis at Metropolitan State University of Denver, I created an immersive environment exhibition that went along with my 5,000-word thesis paper. My thesis topic was storytelling and design, "The human desire to create alternate experiences that transcend beyond our physical world through storytelling functions as a universal means to communicate. Storytelling can relate human experiences, and increase the users' emotional connection, which can be applied through communication design." 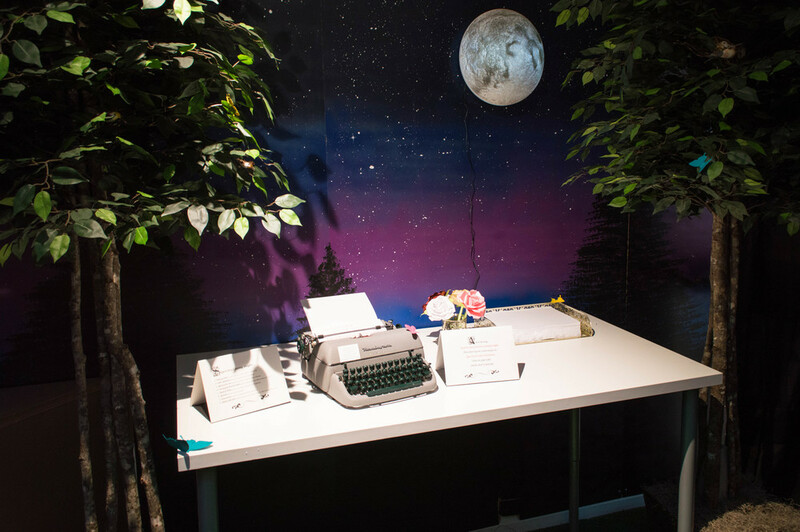 This exhibition allowed the user to physically walk through a simplified version of Joseph Campbell's steps to the hero's journey storyline, as well as create, connect, and collaborate on a story via a typewriter set up within the immersive environment. The viewer was transformed from passive observer to active participant as they walked through the environment, acting out a universal storyline.